So, you want to make some extra income. Well, making extra income is still a dream for many people. If your day job is providing you handsome income well above $100,000 per year, then there is no real cause of worry for you. However, if you are earning below the median household income average of $50,000 per year then you desperately require extra income to maintain a decent lifestyle. You don’t have to switch to a better paying job necessarily. Sometimes, it is not easy to get a high paying job. If you are having some spare time, then you can look forward to realizing your dream of making extra income from the comfort of your home and that too without changing your job. You can make guaranteed money by completing online paid surveys. You don’t require upgrading your skill. Just with a little bit of time and effort, you can well be on your way to make extra income. You simply require an internet connection and a computer system. And of course, you have to devote some time to it. Paid surveys is a marketing technique used by business brands for gaining real feedback from the public about their products, services or advertising. Through paid surveys, companies intend to know their buyer’s behaviors. They offer them cash payment, credits, gifts, or vouchers in exchange for an honest opinion. 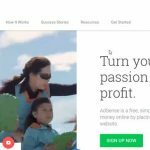 Paid surveys prove a supplemental income method for the ones who are not able to generate enough money from their day job. It turns out to be a guaranteed method for making money online. 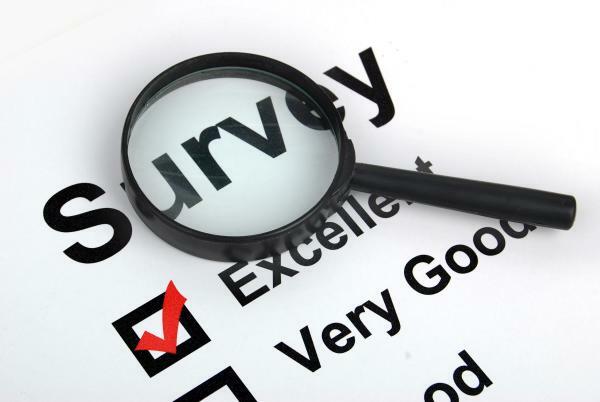 Moreover, it is simple to fill out online surveys. It is entirely possible to complete paid surveys while watching a TV show. However, there are many myths and misconceptions about Paid Surveys. So, we have come up with this post detailing all that you need to know about Paid Surveys. A paid survey is a method used by market research companies to gather information about a particular product, service, or advertisement. Big companies spend billions of dollars every year on advertising. Companies want to know their money is being spent well. These major companies hire a market research company to conduct studies of their products or services on a certain demographic of people they are trying to target. A market research company then does a study to find out information for the big company. There are several ways for a research company to conduct a study. Some of the most popular methods are Focus Groups, Product Tests, Mystery Shops, and Paid Surveys. Paid surveys have been around for several decades. You may have participated in a survey in front of a retail store or at the mall and received a gift for it. One of the most popular is a paid survey. Members of the firms paid survey panels are invited to participate in a paid survey. The survey asks questions about how you feel about a certain product or advertisement and may ask questions about how you feel the product could be better. It may show you five or six advertisements or, slogans, or logos, and ask you to choose the one you think is best. They may survey 5000 people then the company that hired them will make its product based on the results of the paid survey. Market research companies are paid a lot of money to do this. In return, their panelists are compensated for their help. An average paid survey takes around 20 minutes and pays from $5 to $20. Some may pay more depending on time and importance of the study. Legitimate paid survey panels are always free to join and will never ask you to purchase anything. In fact, from time to time you may even receive a product to test and be compensated for it. The best way to profit from paid surveys is by being a member of as many paid survey panels as possible. This way you will be invited to participate in more paid surveys and make more money. A single paid survey panel may send you several paid surveys a month or may only send one. That’s why it is very important to start by joining the top 20 paid survey panels. By doing this, you are almost guaranteed to receive at least one paid survey a day. Making money from paid surveys is easy. You simply have to sign up with survey panel companies, answer the preliminary screening questions and then get the survey opportunities emailed to you. In most of the cases, the surveys will be provided as soon as you sign up for a company. Every survey varies in length. It may take 5 minutes to 35 minutes to complete a survey. A typical payout for a paid survey can vary anywhere from $.50 to $4.00. Legitimate companies list out the rewards as well as the estimated time for completing a paid survey. Most of the paid surveys come with a screening process where they determine whether you are in the target market or not. However, the screening process lasts only for a few minutes, so you don’t need to invest much of your time. As a general rule, you should scan the highest paying surveys and go for those first. You must diligently do your surveys as it may take some months to earn a good amount by filling paid surveys. There are a lot of paid survey sites online. However, not all of them are legitimate. You should keep in mind that reliable and secure paid survey sites don’t ask for payment just to become a member. 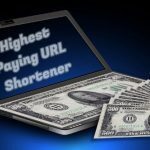 Legitimate paid survey sites do not promise or advertise for quick large earnings. Survey invitations are sent via email from Survey Panels. It takes some days to receive survey invitations. You receive surveys that match your profile. You should be active in responding to survey invitations. For managing your survey invitations in a better way, you should create a separate email for your surveys. Payments don’t come overnight. So, be patient in seeing your earnings. It is always good to keep in touch with your survey provider for any assistance. The good thing for you is the fact that there is no limit in joining paid survey sites. If they are offering credible income opportunity, you can go ahead and create your account. Last but not the least; you can fill online paid surveys anytime, anywhere. You just need a reliable internet connection and desktop or laptop. Nowadays, online surveys are becoming mobile friendly too. So, these were the essential points you need to know before venturing on paid surveys. Remember, you still need to put in your efforts and choose a legitimate online paid survey site. Paid surveys need time before the actual payment start rolling into you.